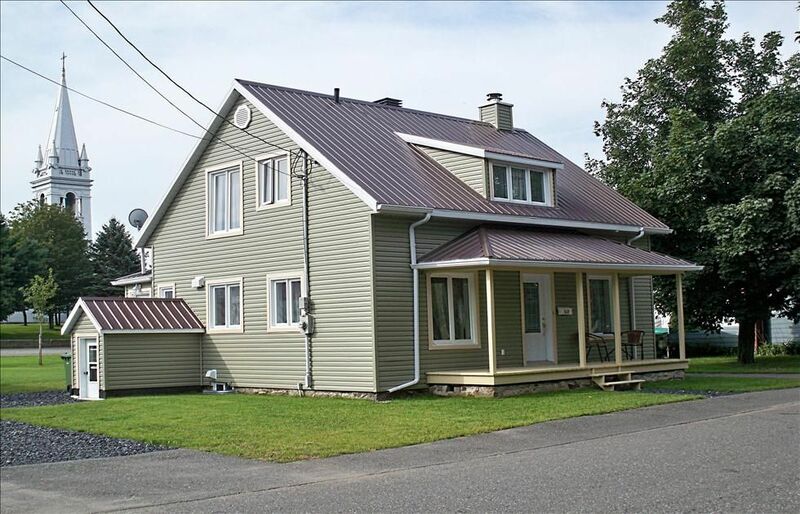 Thinking of getting a new metal roof? 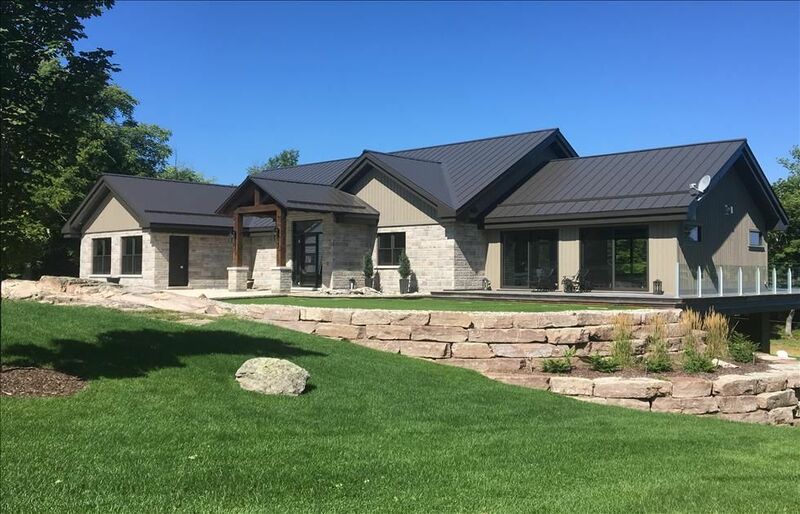 An industry leader for over 90 years, Ideal Roofing offers a wide range of metal roofing products that are sure to add prestige and value to your home while offering the best protection from the elements. 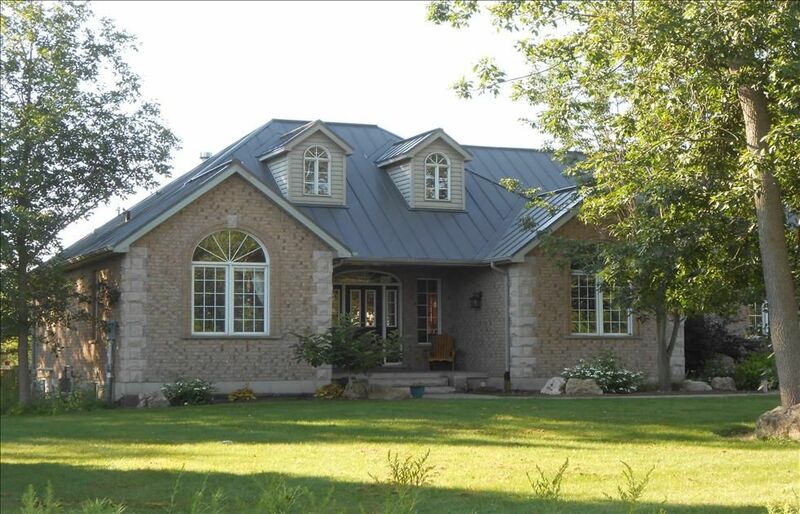 Find out why an Ideal Roofing metal roof may be the best solution for you. 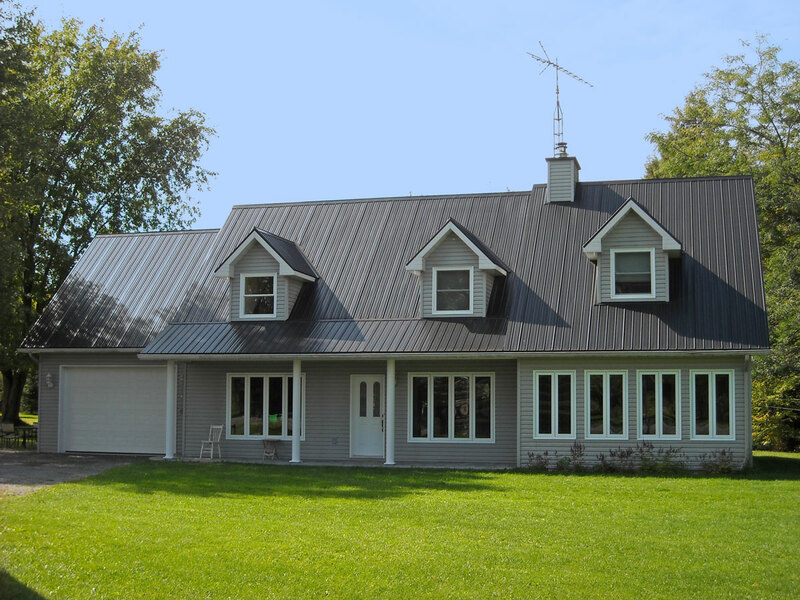 Metal roofing has been around for more than a century. 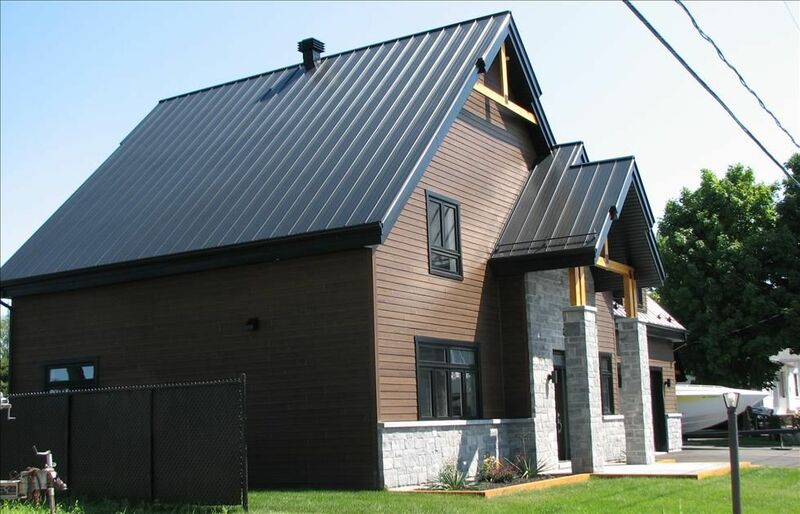 Used originally for commercial, industrial and agricultural buildings, today’s metal roofing also comes in steel shingles in a variety of attractive contemporary colours. 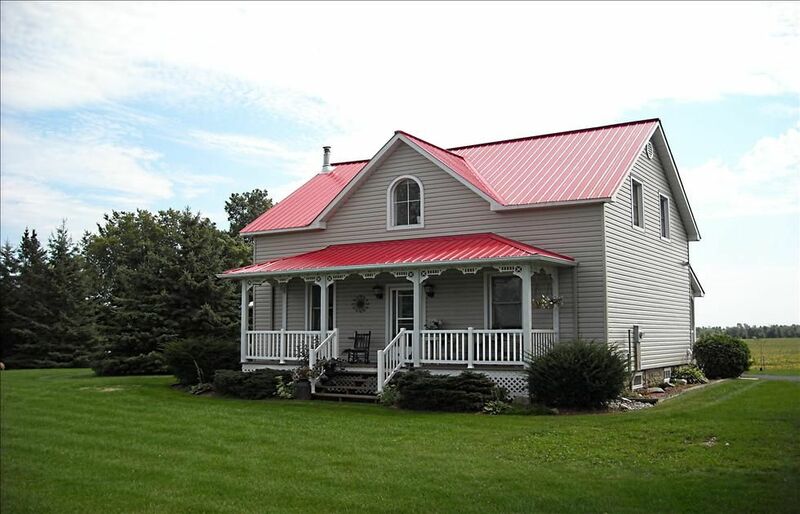 Of all roofing materials, it is well known that metal roofing is by far the longest lasting roofing material. One only needs to travel the countryside to see century-old homes and agricultural buildings with steel roofs still standing solid and proud. Although some of them are a little rusty and discoloured on the surface, they have endured countless years of battering from the elements and are still weatherproof. 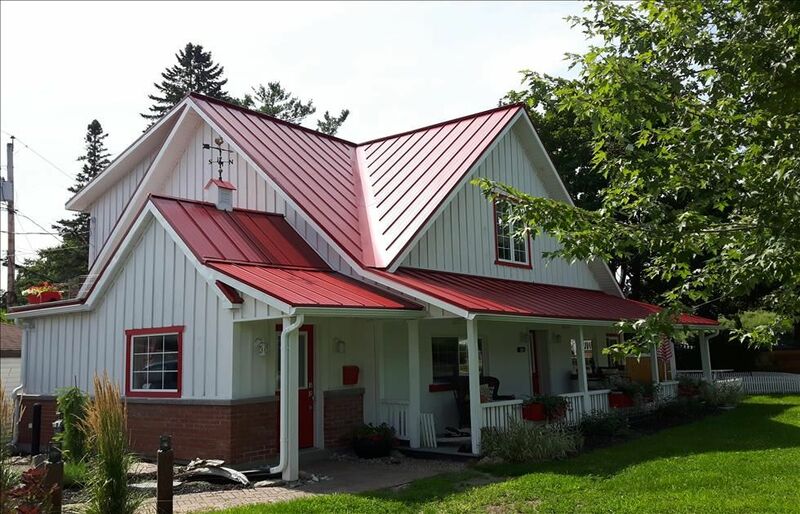 Of course, in earlier days, steel roofing materials did not enjoy the benefits of today’s rust resistant metal coatings, technological advances in oven-baked paint systems and solar reflection qualities all bonded to the steel surface at the factory. Times have changed since then. 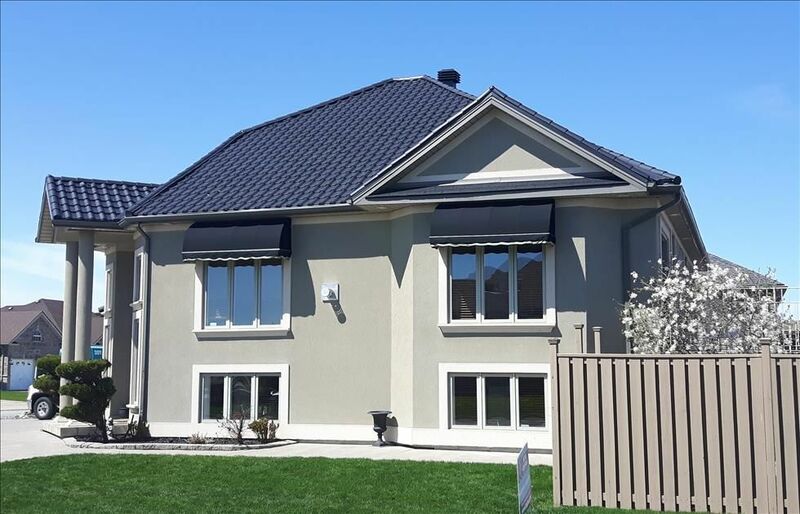 Residential steel roofing materials are now available in a wide variety of designs and colours to complement any style of home. Today’s steel roofing materials offer unmatched durability, lasting as much as 4 to 5 times longer than asphalt shingles. 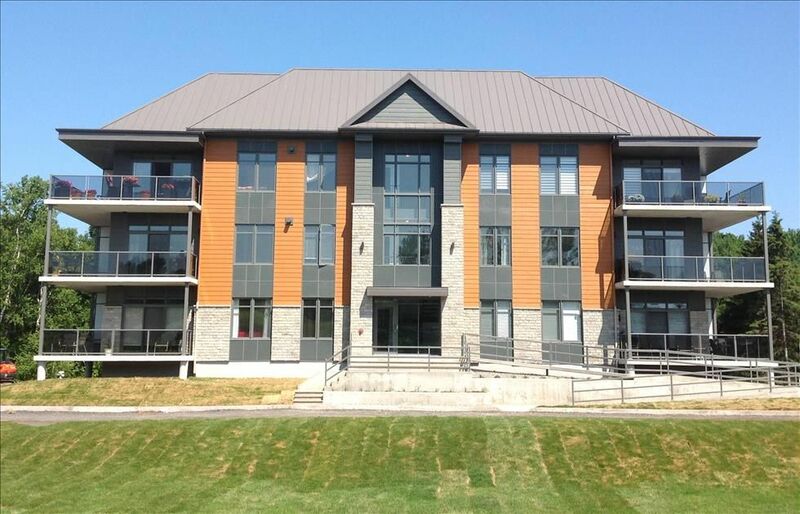 They are so reliable, beautiful and appealing to the eye that they are not only used in roofing applications for residential, commercial and industrial buildings, but also as cladding on inside and outside walls of prestigious commercial, institutional and industrial buildings, professional sports venues and other private and public facilities. 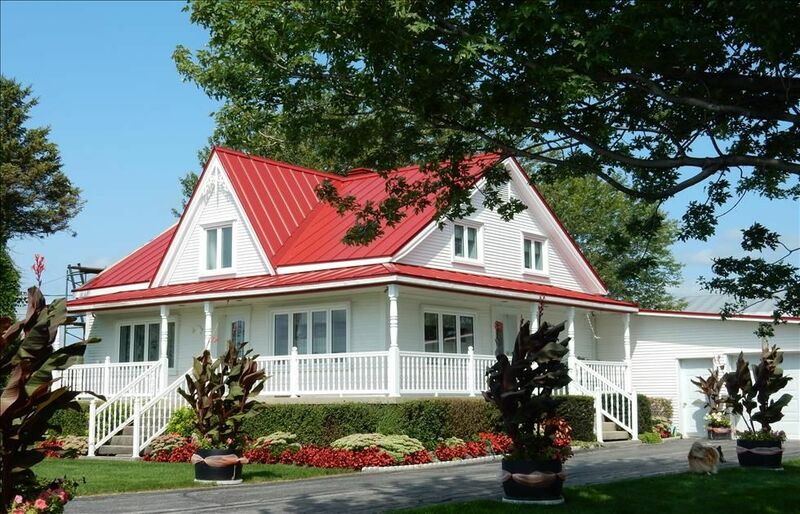 Our metal roofing products come in a wide variety of styles and colours. The following examples are from of our flagship Wakefield Bridge Steel Shingles. 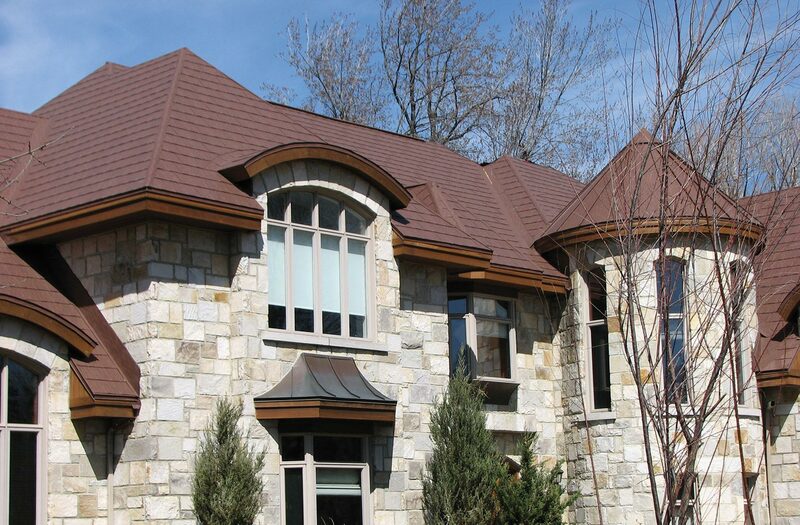 Wakefield Bridge Steel Shingles are designed as an alternative to common ashphalt shingles but with the toughness and long-lasting qualities of high-strength steel roofing panels. It features a stucco-embossed finish for greater strength and a distinguished look. They are protected by our proven oven-baked PVDF paint system with Kynar 500 resin. Available in 16 colours. 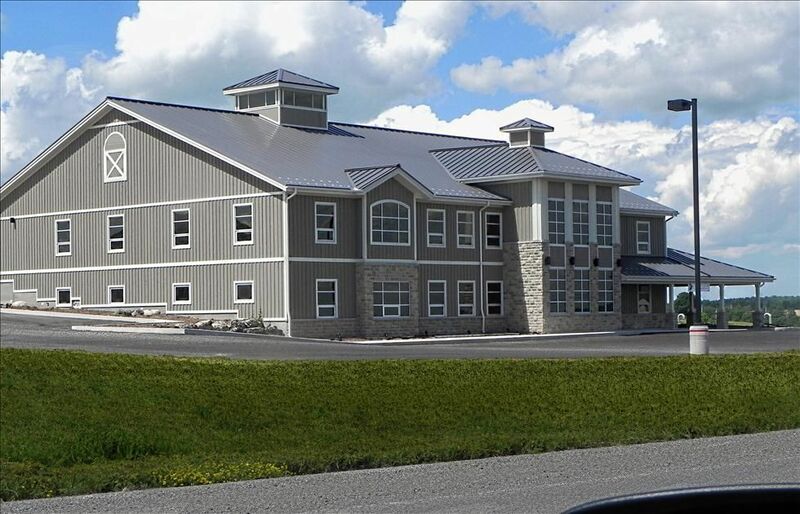 Ideal Roofing’s Heritage Series hidden fasteners steel roof panels bring back the rich traditional style and appearance of standing-seam roofs. Heritage Series panels are available in our proven top-of-the-line 28, 26 and 24 gauge steel protected with Kynar 500 resin. Available in 14 colours. 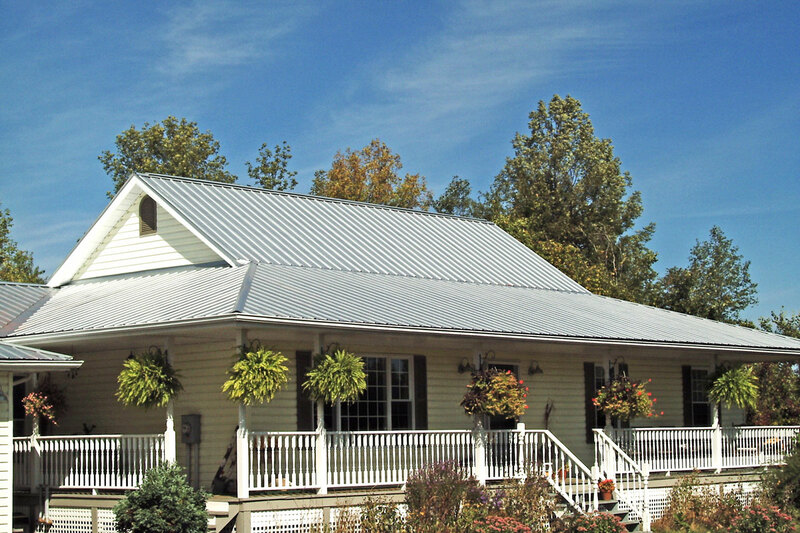 More economically priced, our Junior H-F hidden fasteners steel roof panel offers the same traditional style and appearance of standing seam roofs as our Heritage Series but in a slightly thinner steel gauge. Available in 14 colours. Ideal Roofing’s Ameri-Cana panel offers superior strength with a strong 80,000 PSI full-hard steel core and a five specially designed 3/4″ high ribs on 9″ centres. Weathertight overlap provides maximum protection against leakage with its built-in anti-siphon groove to counter water infiltration resulting from capillary action. Available in 20 colours. Featuring double ribs to provide superior structural strength, our Pocket Rib is an excellent choice for lower-pitched roofs. Available in 28 colours. 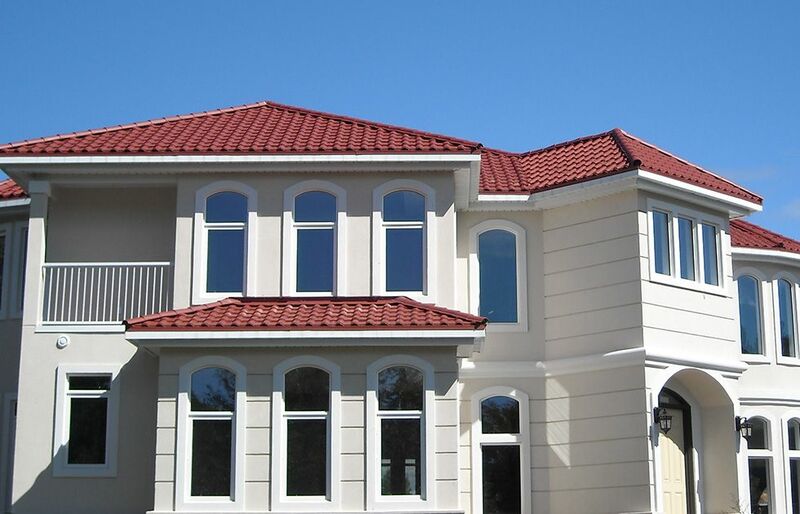 Designed to replicate the traditional clay or terra cotta roofing tiles, our Monteciano steel roofing tiles will give your home the charm and appearance of a Mediterranean villa. They are protected by our legendary advanced PVDF paint with Kynar 500 resin coating for exceptional durability. 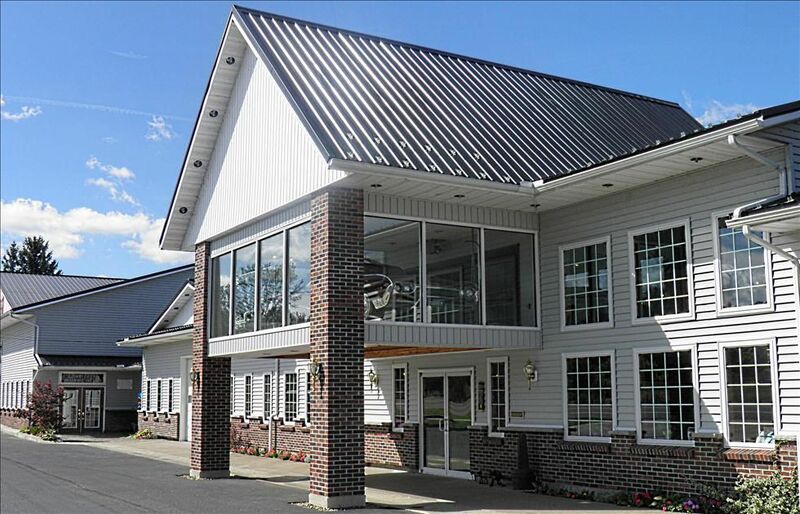 Our most enduring and economical metal roofing panel. 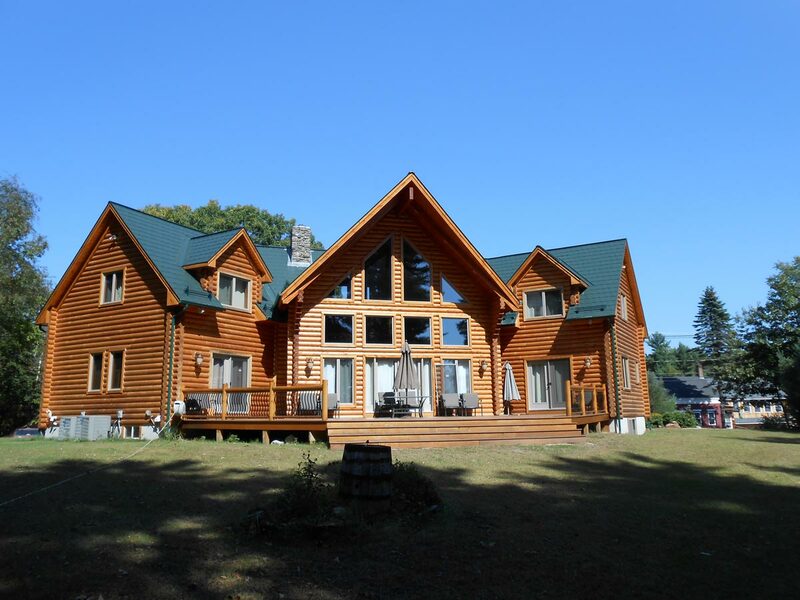 Ideal for Canadian-style curved roofs. Available in 28 colours. 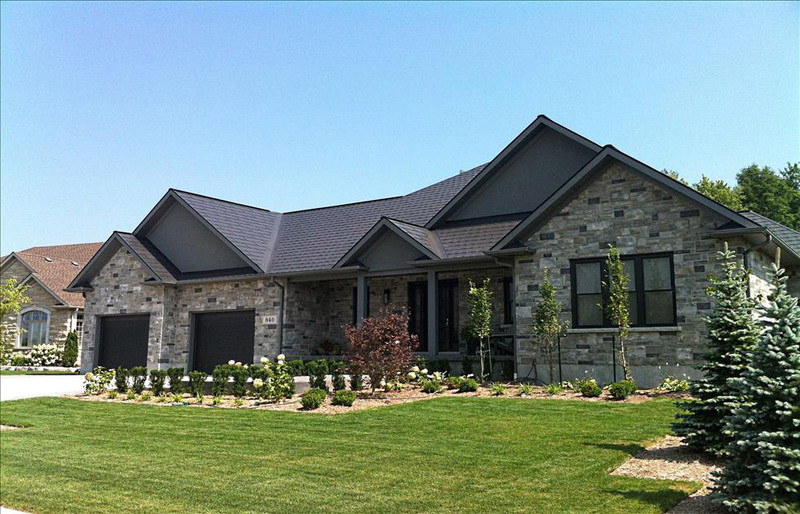 IDEAL ROOFING’S METAL ROOFING PRODUCTS ARE THE PERFECT ROOFING SOLUTION FOR OUR EXTREME NORTHERN WINTERS. Whether we want to admit it or not, the last few winters have been singularly unpredictable in Canada and the United States. From the West Coast to the East Coast, from the Prairies to the Atlantic Coast, and from the Great White North to the Great Lakes, the weather has been playing havoc with our traditional winters. Heavy snowfalls where there were few before, repetitious winter storms dumping tons of snow for several days at a time, extreme and prolonged cold snaps in Southern Canada and the American Midwest, followed by strong winds, mild weather up North, melting permafrost dangerously threatening our polar bears and caribou and generally creating hardship for everyone are now common occurrences. 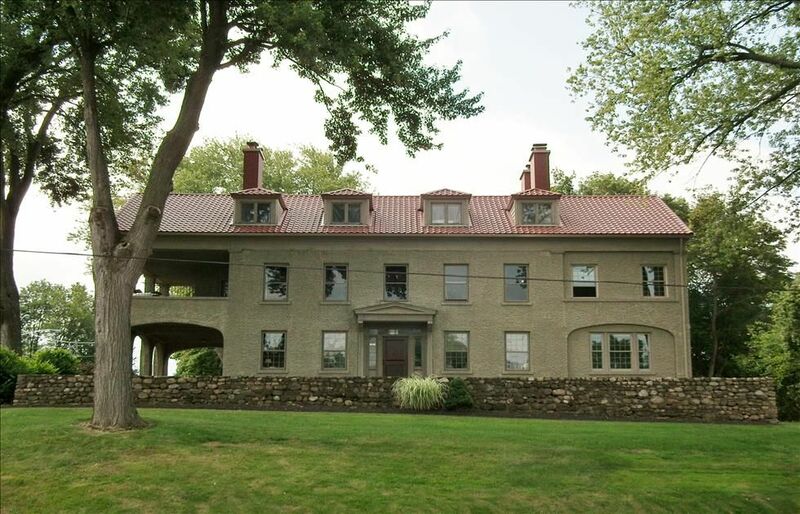 These extreme weather conditions and variations in winter temperatures combine with extreme hot summer peaks, blistering sun, sudden high gusts of winds and heavy flash downpours causing flooding and sewer backups and water infiltrations subjecting roofs to water infiltrations and blown-off shingles. Only the protection of a new steel shingled roof can resist these extreme weather conditions. 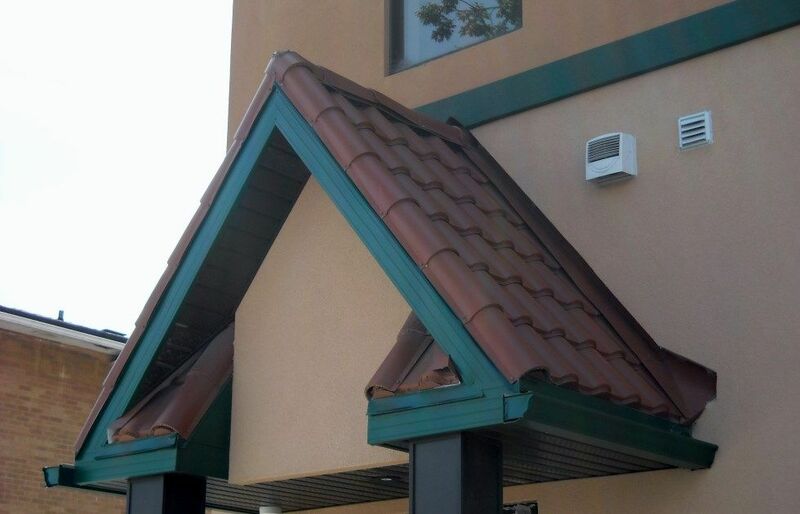 A quality Ideal Roofing metal roof is your barrier against all weather-related aggressions. 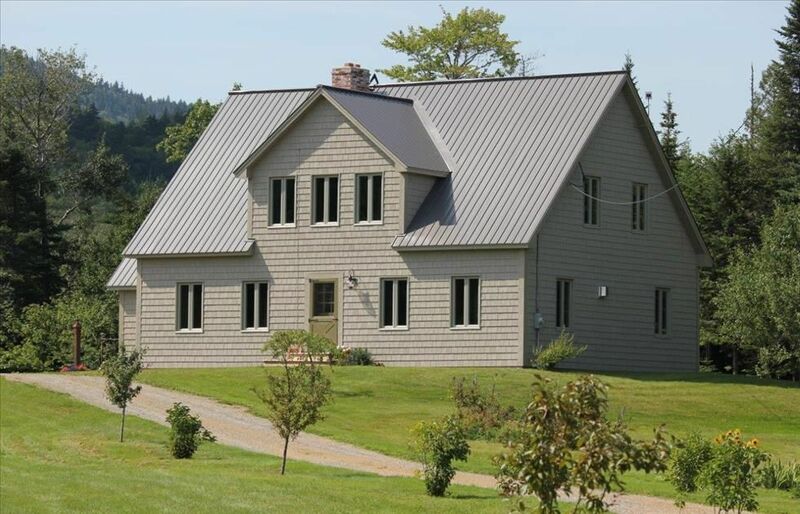 Steel panels and shingles are much lighter and and more resistant than asphalt shingles, concrete and clay tiles, cedar shakes and slate roofing materials, and stronger than aluminum shingles. 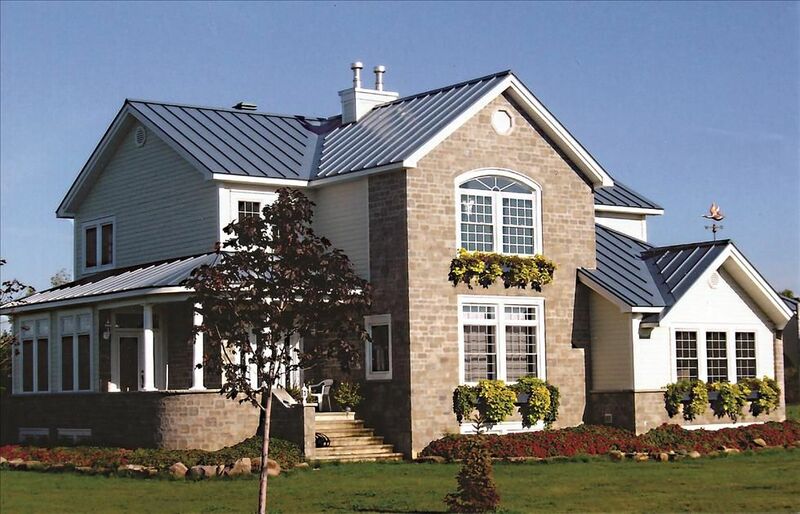 In addition, steel shingles are energy efficient and require no maintenance. 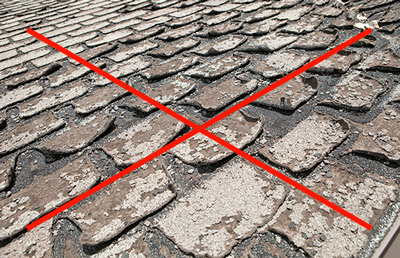 They will not curl, crack, rot, break, chip, peel, streak or perforate under normal use — as will asphalt shingles over time — and they will outlast any other roofing material. 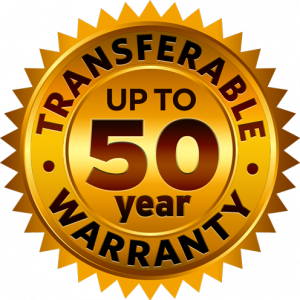 Our roofing products come with a transferable warranty of of up to 50 years. 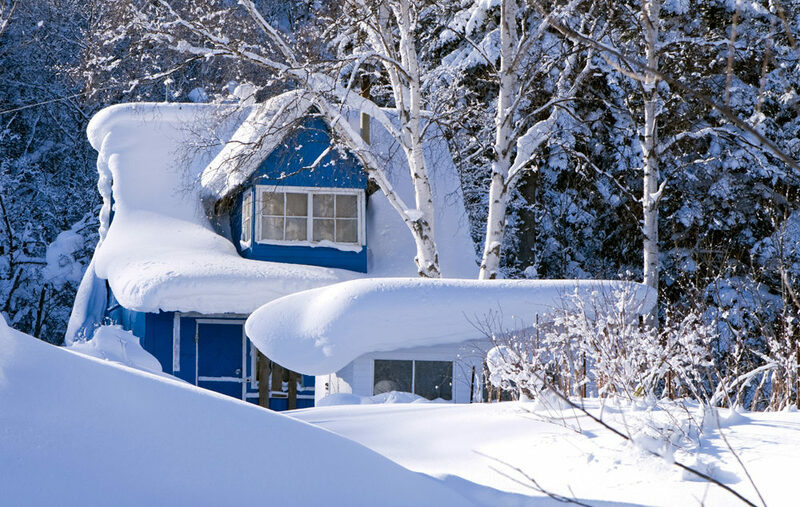 With a quality steel roof on your house, Old Man Winter doesn’t stand a chance! 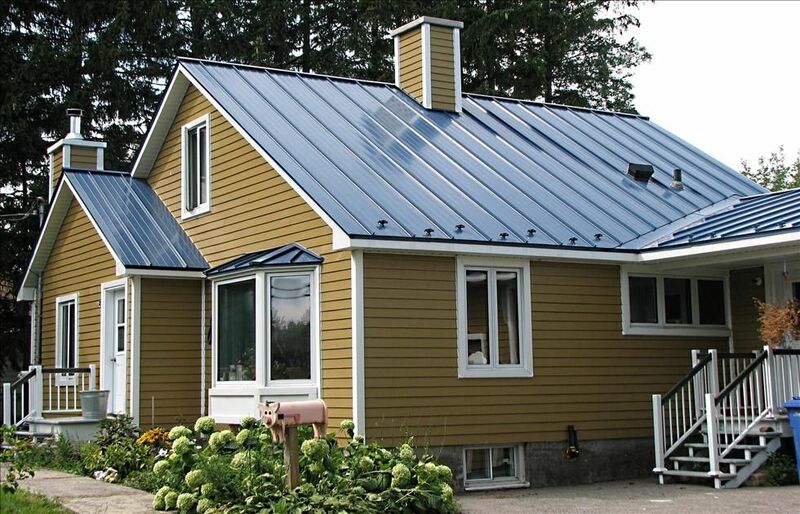 IS A METAL ROOF MORE EXPENSIVE THAN REGULAR ASPHALT SHINGLES? Yes... but wait a minute! 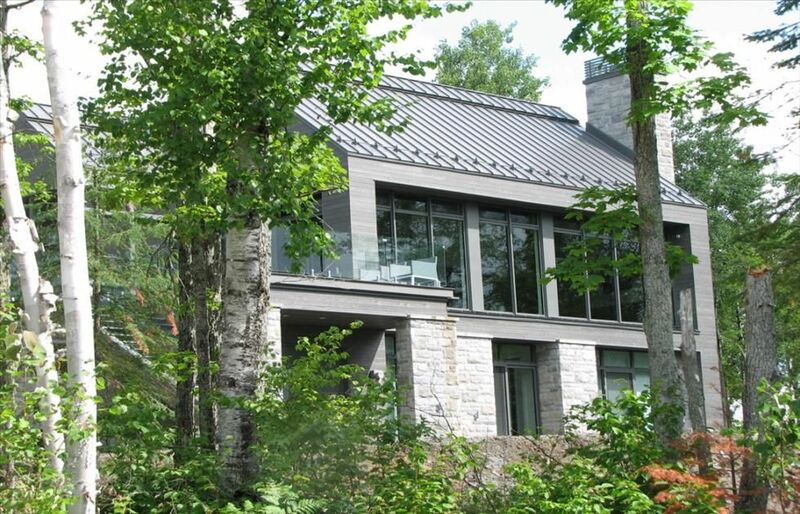 A metal roof last at least 4 to 5 times longer. It may even be the last roof you install on your house for as long as you live! So if they last at least 4 to 5 times longer, THEN THEY ARE LESS EXPENSIVE. 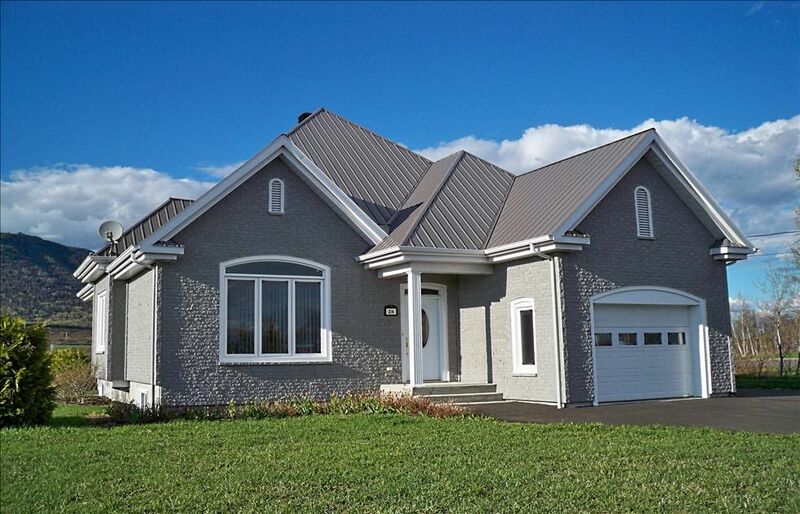 It is a fact that a metal roof do cost more at the outset than regular asphalt shingles… about 50 percent more or less depending on the model you choose, the location of your construction or renovation project, your roofing contractor or installer and the complexity of your roof. In the long term, it’s another story! Lifetime protection is the reason for the higher cost! 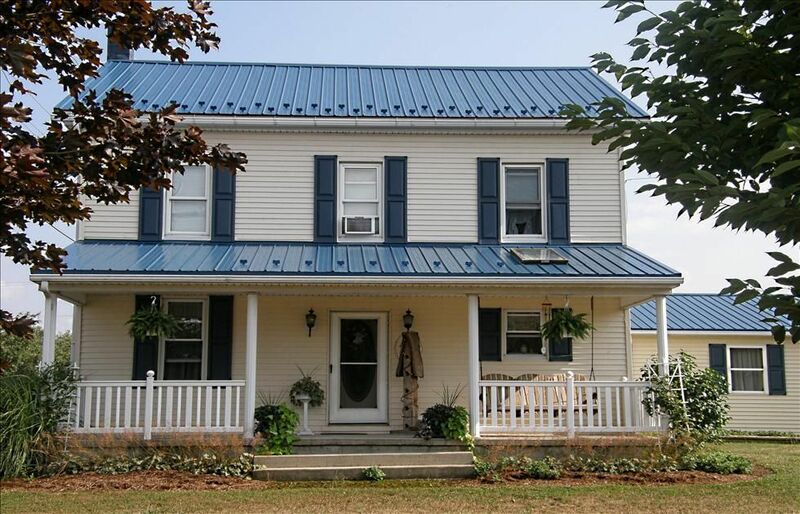 Consider a metal roof a lifetime investment that will reward you with a higher resale value when the time comes to sell your house. And you will save money in the long run. In addition, because they are so lightweight, Ideal Roofing’s metal roofing products can be installed over your existing asphalt shingles, saving you the expense of removing the old shingles, disposing of them and carting them off to a landfill site. 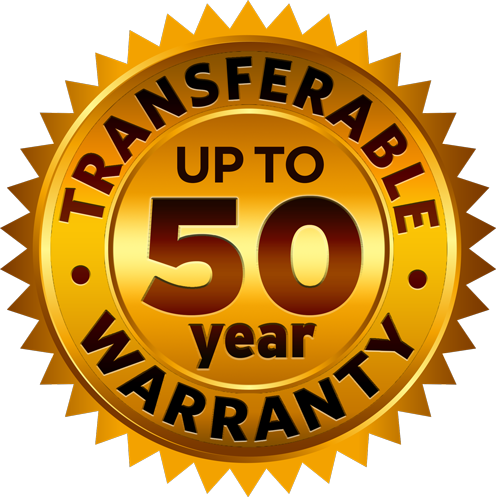 And our Ideal Roofing’s metal roofing products come with a transferable warranty of up to 50 years. Because, when you are ready to move on, you want your house to retain its best resale value. MONEY TALKS. LET’S DO THE MATH! For example, let’s say it costs you $8,000 to reroof your house with traditional asphalt shingles that will last you 15 years before they need to be replaced. Example based on an average annual inflation rate of 2.1% from 2000 to 2013, and supposing the inflation rate remains at 2,1% annually for the next 50 years, here is what the real cost of reroofing would be for the average homeowner, if he or she had to replace the roof every 15 years. Cost of materials only. Increases over and above 2,1% annually in the cost of steel and transportation are not factored into this calculation. Installation cost not included. Cost of reroofing over 50 years with an Ideal Roofing metal roofing product. Now, what will it be? The most economical solution or the best quality solution for the long term? Draw the conclusion: the cost of reroofing every 15 years for a total of 50 years would be 3,9 times the cost of reroofing ONCE AND FOR ALL with a Ideal Roofing’s metal roofing products. 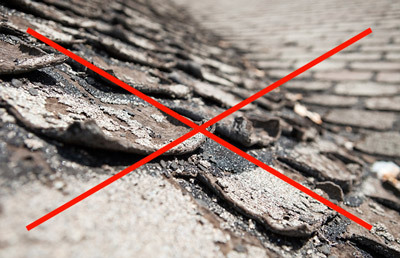 WHY YOUR ROOFING CONTRACTOR MAY ATTEMPT TO CHANGE YOUR MIND AND SWITCH YOU OVER TO REGULAR ASPHALT SHINGLES? 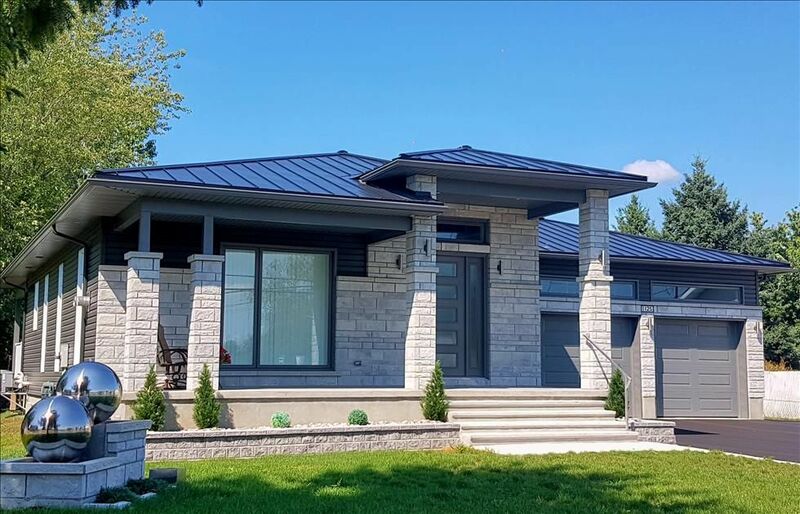 There may be quite a few reasons for your roofing contractor or installer, and even your building centre sales representative, to try and discourage you from installing a metal roof... even if you are convinced of the superior qualities of a metal roof and are willing to invest the money. Many of them are not used to selling the product and doing the necessary calculations to give you an accurate quote. It is a little more work for them to give you a correct estimate for your type of roof, depending on roof pitch, shape, area to be covered, number of gables, dormers, skylights, valleys, trim and other features of your house. 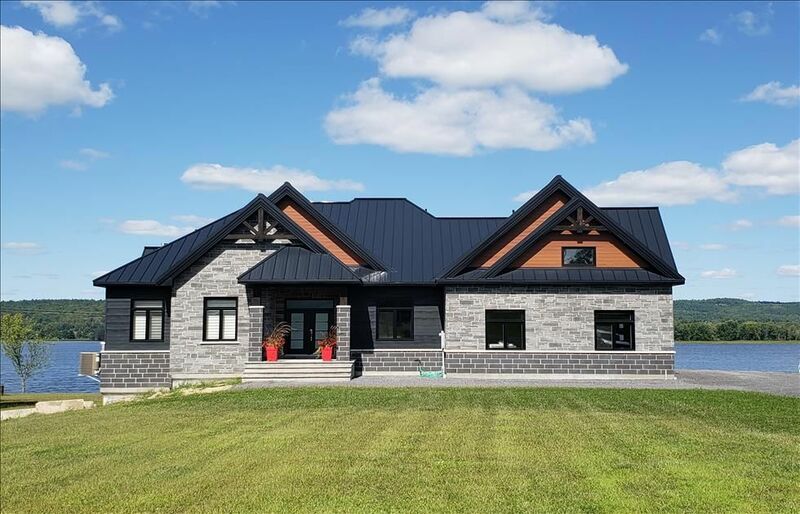 They do not always know where to find reputable steel roof installers and the skilled tradesmen that will do a good job in their neck of the woods. Ideal Roofing representatives in the field know the right people to do the job… right. It may take longer and more precision to install a metal roof than it does to slap down and tack squares of asphalt shingles on any type of roof. 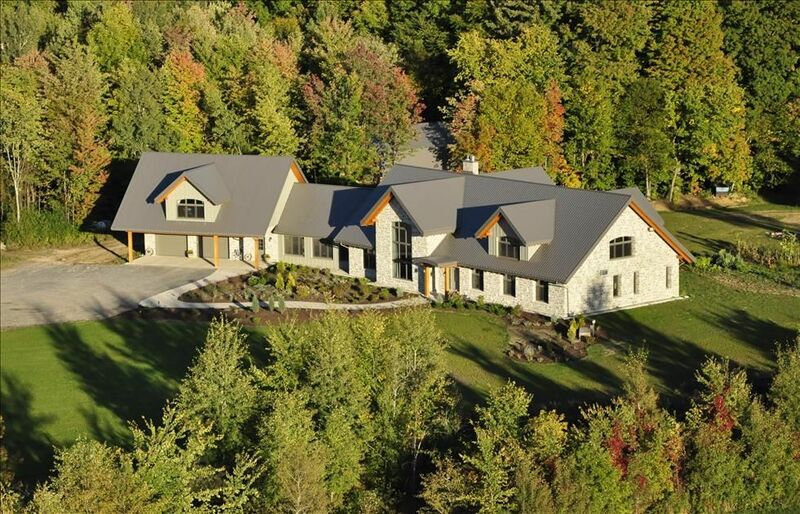 Because the roofing season is so short in Canada and the Northeast United States, roofers want to finish their jobs as soon as they can to move on the next one and rack up more profits. As with every business, roofers and building centres want to keep things simple and don’t want to be bothered with orders and sales that are out of the ordinary, as they are intent on serving as many customers as they can in the least amount of time. 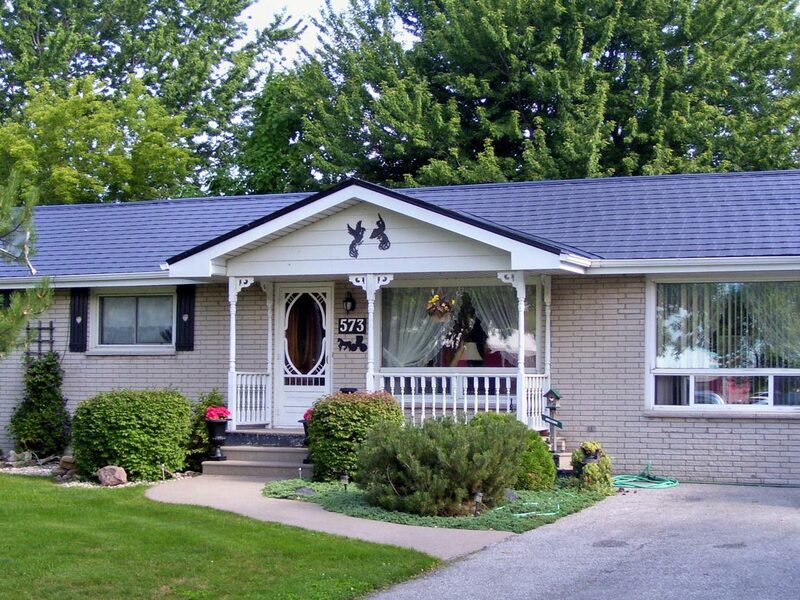 Roofers and building centres generally carry a large inventory of asphalt shingles normally purchased in springtime for consumption throughout the year. 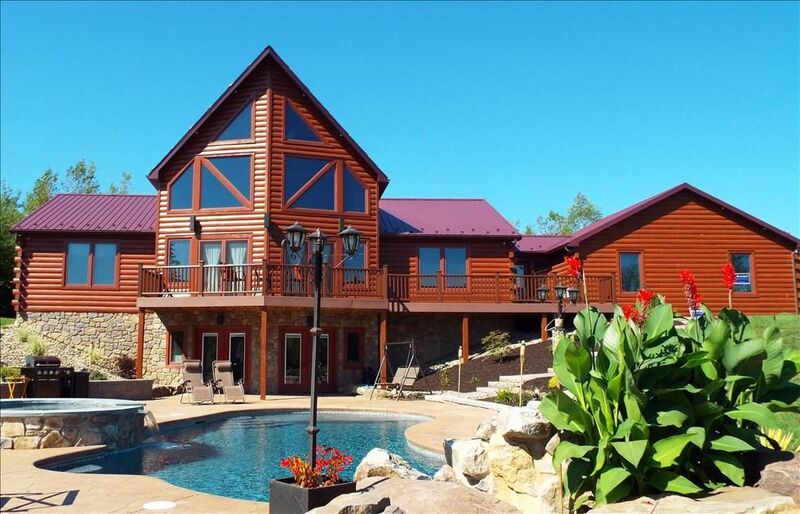 They prefer liquidating their inventory rather than ordering Wakefield Bridge steel shingles on a special order basis even if delivery may only take a few days. 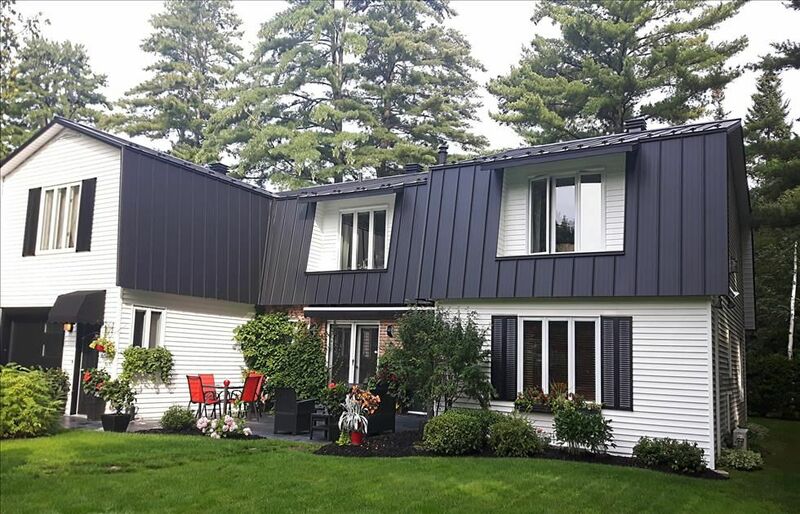 Finally, both roofers and building centre salespeople know that if you install a metal roof, you may not need to buy shingles from them anymore… because you will not need roofing materials for another 50 years. Let’s not kid ourselves! That’s not very good for their business as these people earn their living with repeat customers having to change their roofs every 10 to 15 years. LONG-LASTING. 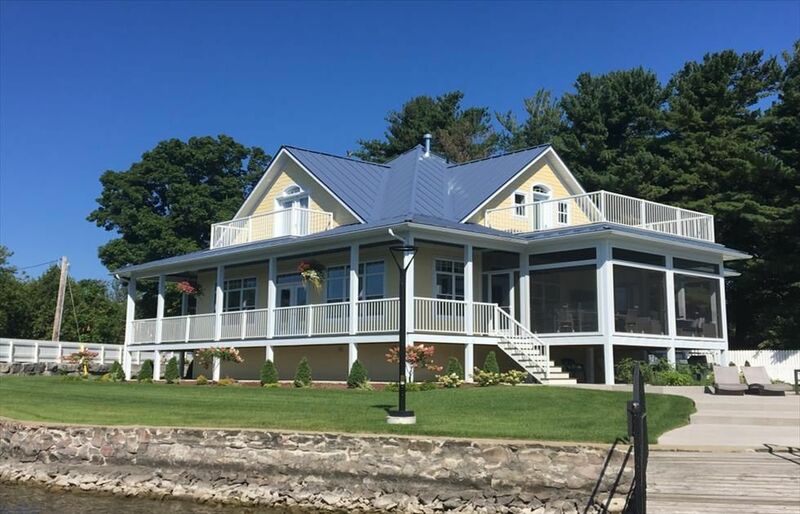 Ideal roofing’s metal roofing products are long lasting and cary a transferable warranty of up to 50 years which increases the resale value of your house. ATTRACTIVE AND LIGHTWEIGHT. 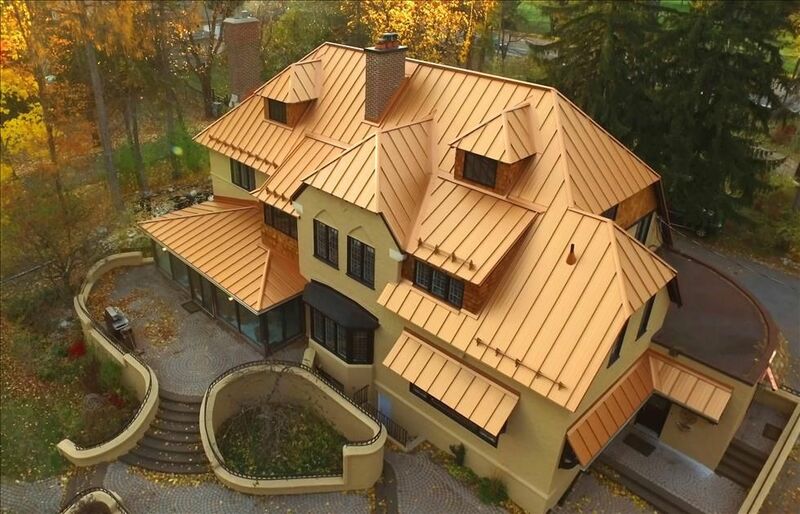 Because Ideal Roofing’s metal roofing products are aesthetically pleasing to the eye with vibrant colours in a matt finish that blends in with your neighbourhood and they look great on any type of roof. In addition, they are lightweight — at least 60% lighter — and more resistant than asphalt shingles, concrete and clay tiles, cedar shakes and slate roofing materials. STRONGER THAN ALUMINUM. 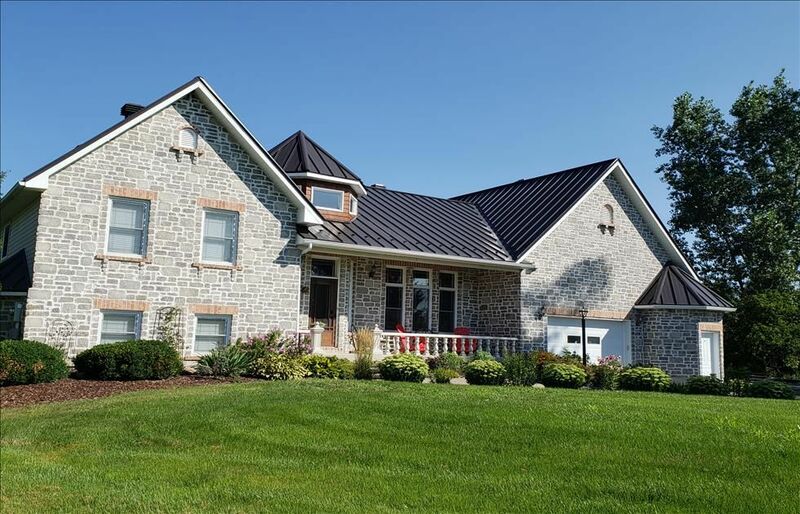 It is a fact that Ideal Roofing’s metal roofing products are stronger, thus will not dent as easily, yet are less expensive than aluminum shingles. 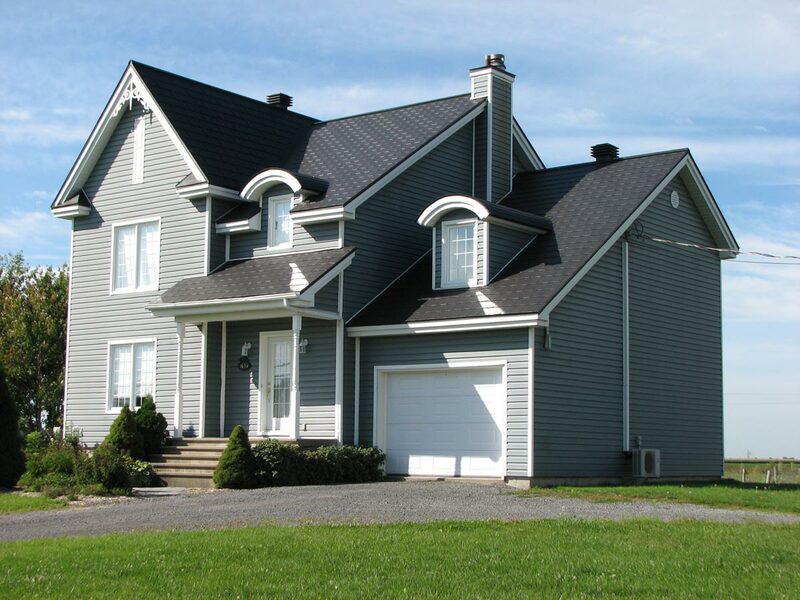 In time, aluminum shingles will deteriorate under the effect of oxidization. RUST RESISTANT. 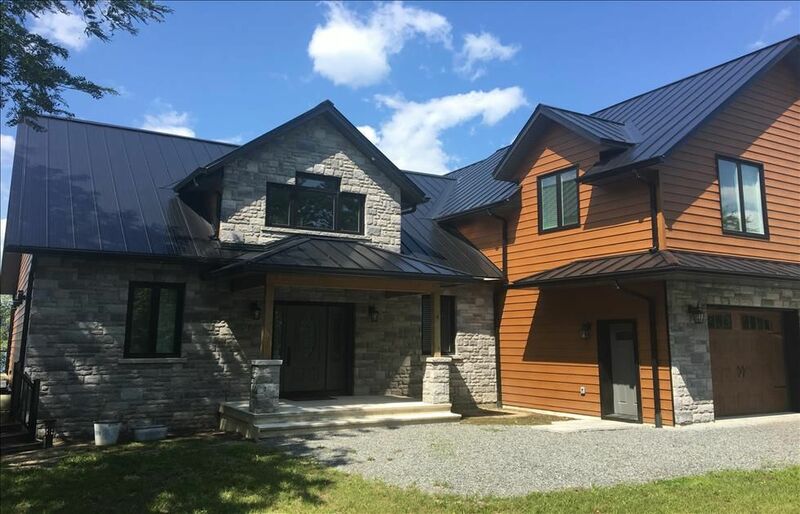 Because Ideal Roofing’s metal roofing products are protected with a corrosion-resistant first coating of zinc and aluminum called GALVALUME, then a second coating of primer paint and finally, a third coating of an oven-baked PVDF paint film with added Kynar 500® resin. DURABILITY. Because Ideal Roofing’s metal roofing products won’t curl, crack, rot, break, chip, peel, streak or perforate under normal use. Neither will they leave ugly, long, dark, vertical tar streaks and shed loose granules to clog your gutters like asphalt shingles do, as they have a smooth finish. RESISTANT TO 241 KM/H OR 150 MPH WINDS. 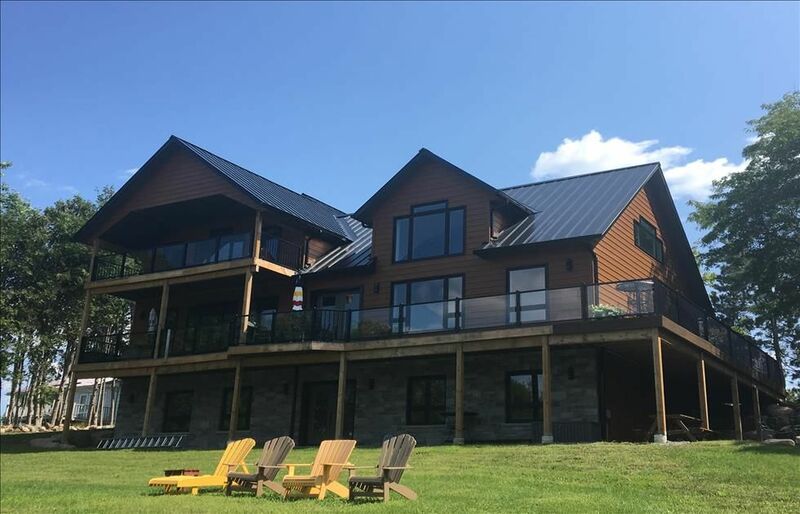 All our our metal roofing products will resist driving acid rain, high winds, ice and hail storms, heavy sleet and snow falls, stinging frost, blistering sun, insects, pine needles, and even burning embers from brush or forest fires. 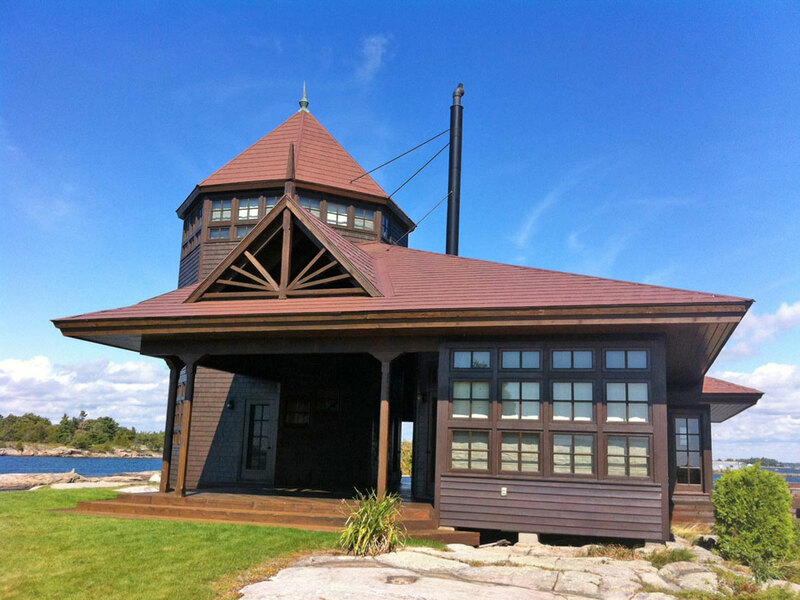 WAKEFIELD BRIDGE steel shingles, HERITAGE and AMERI-CANA ARE RESISTANT TO 241 KM/H OR 150 mph WINDS. NOT SUBJECT TO VARIABLE OIL PRICES. 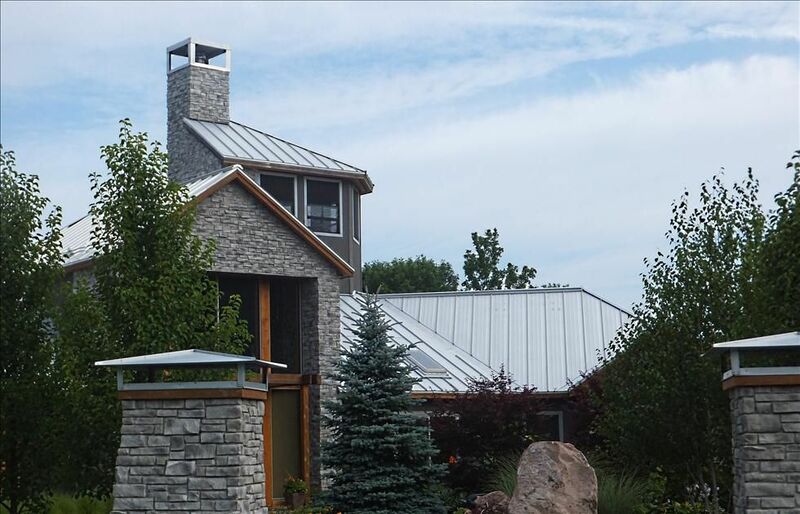 Because Ideal Roofing’s metal roofing products are manufactured with new and recycled steel, and are not subject to the fluctuations in the cost of fossil fuels and world market oil prices. COOL-ROOF TECHNOLOGY. 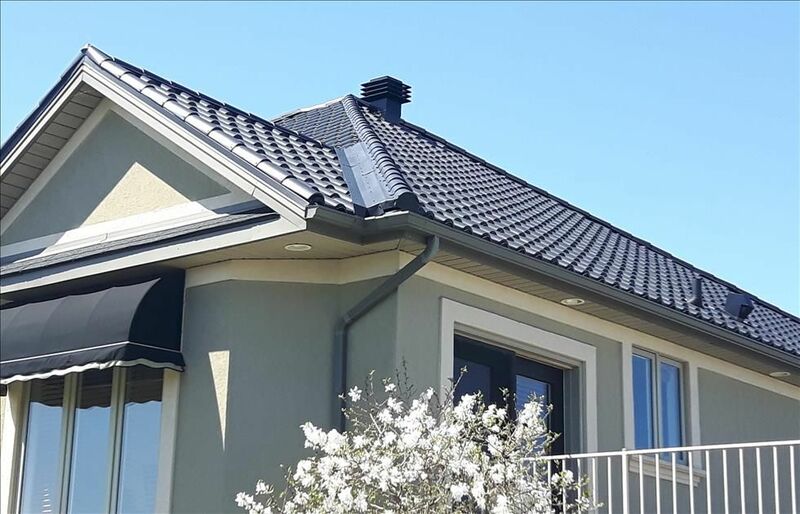 Because Ideal Roofing’s metal roofing products enjoy the most advanced Cool Roof® solar reflection technology ensuring exceptional protection from solar radiation and reducing the cost of air-conditioning. ENVIRONMENTALLY-FRIENDLY BECAUSE THEY ARE RECYCLABLE. Contrary to asphalt shingles clogging our landfill sites after their useful life, Ideal Roofing’s metal roofing products are made in part of recycled steel and are 100% recyclable at the end of their extended lifecycle, thereby contributing to the protection of our environment. 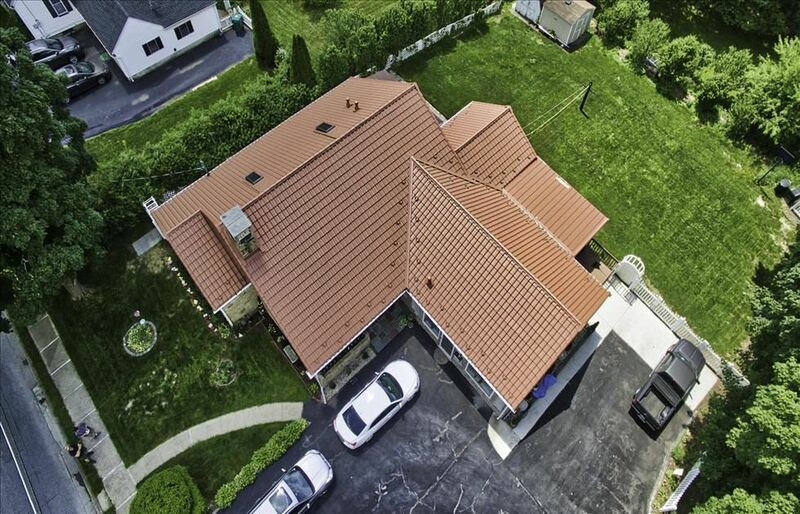 HIGHER RESALE VALUE With a transferable warranty of up to 50 years, a house covered with Ideal Roofing’s metal roofing products has a greater resale value compare to a house with asphalt shingles. 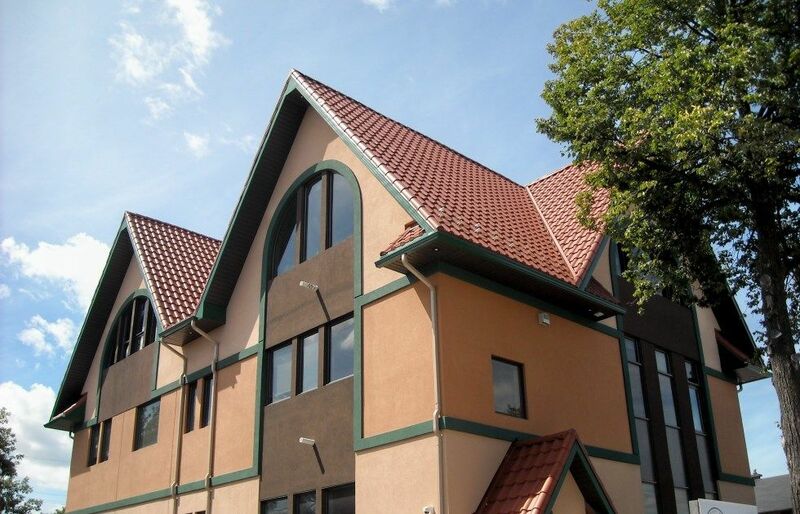 With all these features and benefits, why would you choose any other type of roofing material? 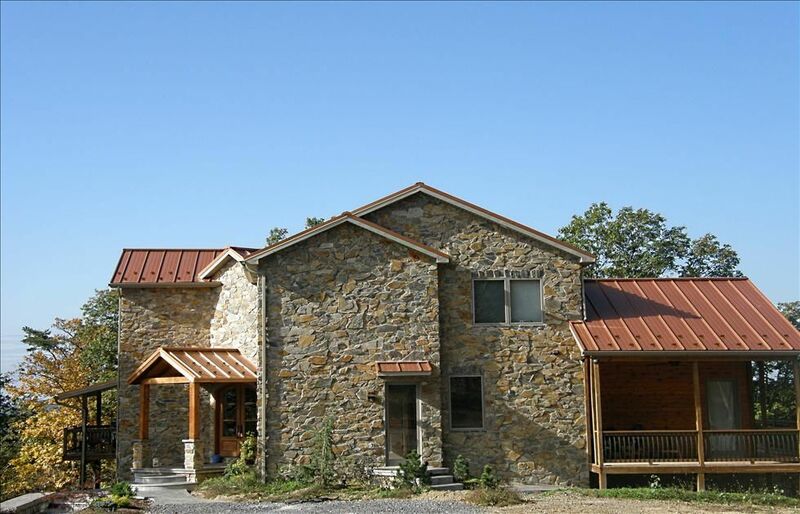 HOW WOULD MY HOUSE LOOK WITH AN IDEAL ROOFING METAL ROOF? 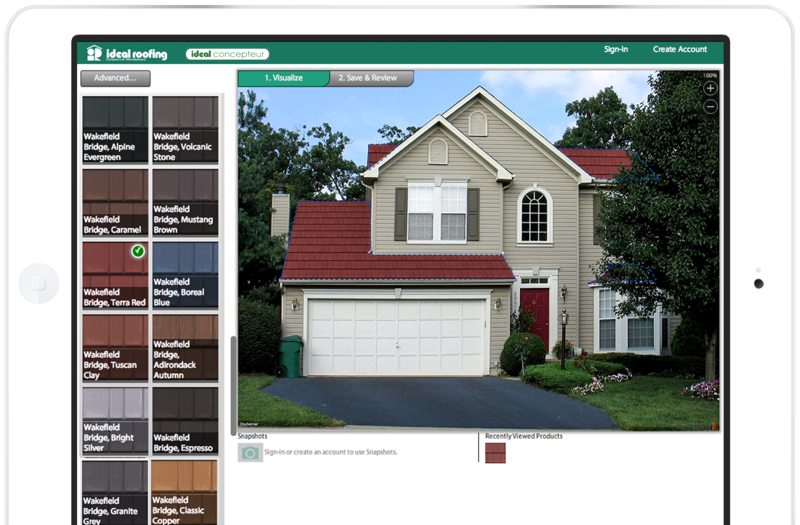 Discover the spectacular effect of a new steel roof on your house with our on-line “Ideal Concepteur” simulation tool and see for yourself before you buy how good your house would look with a metal roof from Ideal Roofing! Contact us by filling out this form. A representative will be in touch with you personally within the next 48 hours, Monday to Friday to respond to your questions.